In Matthew 6:25-34 Jesus talks to people about worry. He tells them to look at how God cares for the birds and the earth. Yet, people are so much more important to God. This video will remind you that God promises to take care of you... All He asks is that you seek Him and His Kingdom. WHEN THE CUPBOARD SEEMS BARE, GOD IS THERE! In a time of crisis, when your cupboard looks bare, God has a way to overcome your crisis! Your cupboard is never bare, because God is there! 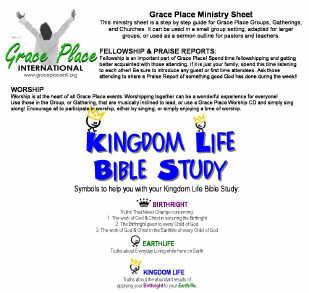 Download this Kingdom Life Bible Study by clicking the picture or the link below.